BC's urban and regional museums boast world-leading collections of heraldic poles, silver and argillite jewelry, carved cedar boxes, and significant archeological finds and other artifacts. The Museum of Anthropology, at the University of British Columbia in Vancouver, for example, has some of the world's best collections of Pacific Northwest Coast First Nations art and artifacts, representing a cross-section of the region's First Nations. The Bill Reid Gallery, also situated in the city, showcases the works of the acclaimed Haida master sculptor, carver, goldsmith, writer and spokesman. Other excellent collections can be found at The Royal BC Museum in Victoria, the Museum of Northern British Columbia in Prince Rupert, and the Haida Heritage Centre at Kay Llnagaay in Skidegate, Haida Gwaii. Throughout BC you’ll find Aboriginal-owned-and-operated shops and galleries, many built in a traditional longhouse style, as well as restaurants — and even a winery — offering insights into modern day art, culture and cuisine. Nk’Mip Cellars in Osoyoos, for example, is North America's first Aboriginal-owned-and-operated winery, while the Eagle Aerie Gallery in Tofino is a fine example of a cedar plank, carved and painted longhouse-style gallery. Several BC resorts are all, or partly, owned and operated by First Nations people and offer a taste of Aboriginal architecture, food, culture and entertainment in the context of a modern full-service hotel. These include Tsa-Kwa-Luten, The Oceanfront Resort on Cape Mudge on Quadra Island, St. Eugene Golf Resort & Casino in Cranbrook, Quaaout Lodge & Spa, and Talking Rock Golf Course near Kamloops and Nk’Mip Resort (which includes a winery, vineyards, cultural centre, spa and golf course) in Osoyoos. Meanwhile, a growing number of Aboriginal-owned tourism operators are encouraging visitors to enjoy BC's wilderness, wildlife, culture, history and cuisine from a First Nations point of view. Experiences range from paddling a traditional ocean-going canoe to visiting archeological sites, taking ecologically sensitive wilderness tours, seeking out the mysterious Kermode (Spirit) bear in the Great Bear Rainforest, watching a dance performance or joining a generations-old purification ceremony. Add to this that First Nations guides share history, legends and insights into archeology and natural history as visitors tour their lands by canoe, foot or even jet boat. In many cases, guests can enjoy a feast of traditional foods and spend the night in a traditional pit house, teepee or longhouse. 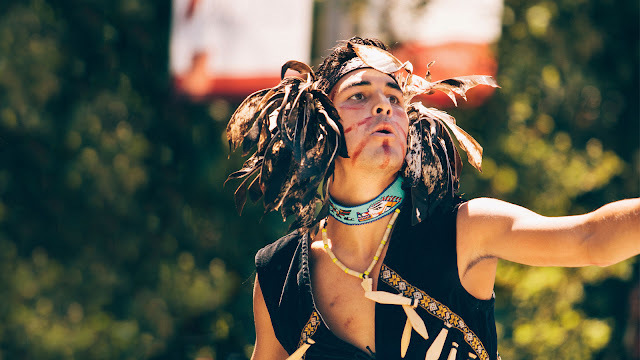 The Aboriginal Tourism Association of British Columbia, at www.aboriginalbc.com, has details about the tours and experiences available. One of the most popular ways to experience Aboriginal culture is to visit one of BC's many cultural centres, where First Nations people invite visitors to learn more about their art, history, cuisine and way of life. The following is a region-by-region selection. The centre also has information about visiting the Gwaii Haanas National Park Reserve, National Marine Conservation Area Reserve, and Haida Heritage Site. On the southern part of the Haida Gwaii archipelago, this remote, roadless region is home to several abandoned Haida villages, including SGang Gwaay Llnagaay, a UNESCO World Heritage Site and one of the best surviving examples of a Northwest Coast First Nations village site. Further west in Prince Rupert you’ll find the Museum of Northern British Columbia, where artifacts reflect the 10,000-year-long First Nations settlement of the area.